Priestly Praise Shepherd, Pastor Lee Lyons and his wife, Elder Priscilla Lyons, have served alongside one another to create and develop a ministry in which it's members truly know God for themselves. Their charisma, dedication and fervency for God has brought them into a Promised Land filled with his glory. 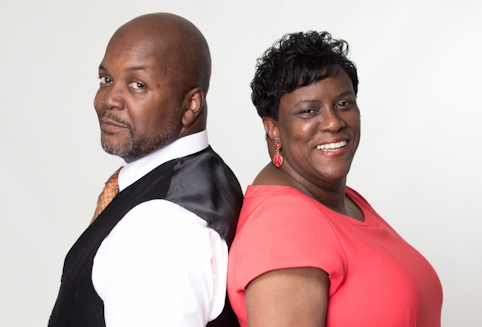 Get to know Pastor Lee Lyons and Elder Priscilla for yourselves. 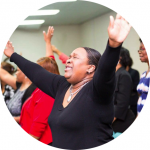 Priestly Praise Ministries aim to impact lives on such an instrumental level that it empowers individuals to lead Holy lives and proclaim the praises of the One and Only True God. Attending a Priestly Praise service is truly more than an event in time but it's an Experience in Eternity. See what impact PPM has already made in the body. 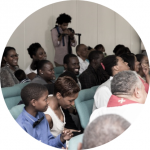 The Royal Priesthood Covenant Ministries Fellowship (RPCMF) is a community of churches, ministries and organizations that through mutual respect and agreement consent to love, support and submit to one another. Find out more about our Royal Priesthood Network. Stay up to date with the latest with what's going on with Priestly Praise Ministries via our periodically updated blog posts. "Where Praise Is Not An Option And Worship Is A Lifestyle"